Just in case we’ve all become so used to the images that we’ve forgotten why this is important, he’s another yucky one to ruin your coffee and biscuits. The Australian Federal Government has secured a big win over big tobacco with the High Court ruling their world-first plain packaging laws are constitutionally valid. This is what the plain packs will look like, with rotating horror graphics. The landmark legal victory means all cigarettes and tobacco products in Australia will have to be sold in drab olive-brown packs from December. Large graphic health warnings will dominate the packs and the manufacturers’ brand names – such as Camel or Winfield Blue – will be written in a small generic font. Although the court handed down its decision on Wednesday the reasons for judgment won’t be revealed until later in the year. British American Tobacco, Japan Tobacco International, Philip Morris and Imperial Tobacco Australia argued in April that plain packaging was unconstitutional because it “extinguished” their brands and logos without compensation. 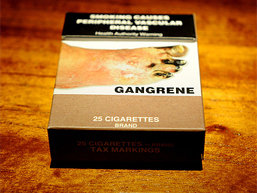 Their extremely expensive legal action was born, commentators agree, of their fear that the Australian model will soon be copied by administrations worldwide, such as the UK and New Zealand, now that it has been decided to be a legitimate tactic of Government, and that by enforcing plain packaging it will strip away from tobacco companies one of their last remaining opportunities to create brand differentiation and awareness, which is considered crucial in training young smokes to become lifelong adherents. In particular, if the move is repeated in tobacco’s burgeoning Asian markets, the result could be very damaging for the economic prospects of tobacco companies indeed. As you can see here, the significance is that poorer countries may be less scared of expensive legal challenges now the Australian High Court has ruled. Creatively, the Australian Commonwealth Government insisted it had the right to regulate cigarettes just like other products harmful to human health, such as rat poison, which require warnings about safe handling. In response, Chief Justice Robert French said the majority of justices found the Tobacco Plain Packaging Bill was not in contravention of Section 51 of the Australian constitution. The tobacco companies have also been ordered to pay the Commonwealth’s legal costs. 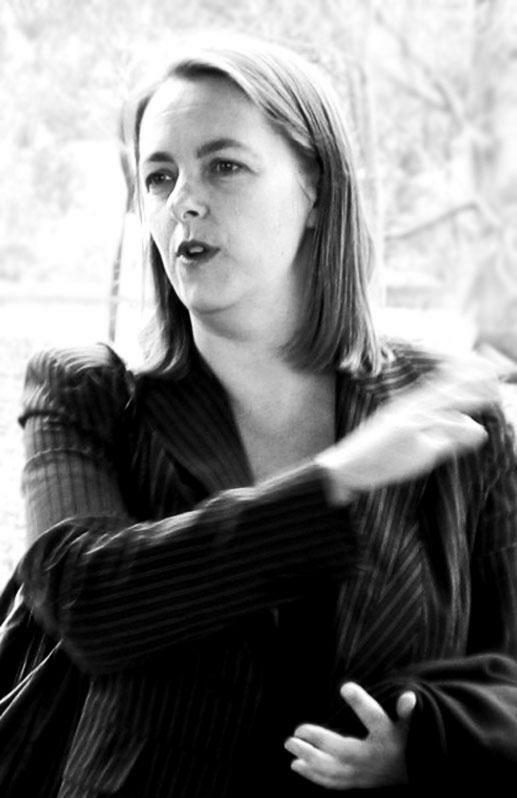 Attorney-General Nicola Roxon, who has been pushing the reform through against furious lobbying and opposition, is expected to hold a press conference soon to discuss the court’s ruling. Big Tobacco has been waging a losing war for some years throughout the Western world, and much of the developing world, over its right to promote its products. In Australia cigarettes have carried substantial health warnings and graphic images for some time, and sports advertising/sponsorship by tobacco companies is banned. Cigarettes are now stored out of sight in retailers. Taxes on cigarettes have been substantially increased, and nicotine patches included in the taxpayer-supported Pharmaceutical Benefits Scheme, reducing their costs to consumers. The Government’s stated intention is to reduce the rate of smoking in the Australian population from its current level of 15% to 10% by 2018. Regardless of one’s political opinion, this latest development is surely a move that the vast majority of intelligent people worldwide will applaud. Politicians who do something useful, and stand up to pressure from vested interests. Looks like a new market is being created for slip-on covers (like beer coozies or iPhone covers). Might even see a return to the venerable cigarette case. I wonder if there’s anything in the law that will prevent tobacco companies from producing and distributing their own branded slip-on ciggie coozies? If so, it’ll present an interesting conundrum for them if third-parties market branded slip-ons: do the companies allow a defacto “licensing” of their trademarks and trade-dress, since they’ll obviously feel that they’ll benefit by this work-around, or do they protect their trademarks and dress through cease-and-desist action? And speaking of trademarks and trade-dress, do the regulations also restrict advertising in any way (more than they already do)? What does it mean when your trademark and dress have no market value because no one can see it in advertising or packaging? There is as part of the plain packaging law – you can put your cigs in anything as long as it doesn’t bare the logo of a cigarette company (actually you can’t sell them but it amounts to the same thing). There is already a complete ban on advertising tobacco in Australia and has been for years. So, Peter, am I correct in understanding that if someone lays a pack of smokes in plain view on a sidewalk bistro table, and it’s wrapped in something that displays a cigarette brand logo (or a contraband logoed cigarette case), and a copper sees it, the person is subject to arrest or citation or some such? This is a genuinely curious question aimed at understanding the law there, not a provocation of any kind nor a social commentary. Full disclosure: I’m not planning on starting a ciggie coozie business, either. It’s just idle curiosity and speculation. No – they can have what they like personally. However, if they buy the logo branded item in Australia the retailer is breaking the law. They can buy it overseas no problems though. Amazing actually. Why not just outlaw them if they are so worried. Sure, you would have a bunch of crazed folks wandering about for a while but then it would be done with. I say the same here in the US with all the stupid laws and bans. Problem here is of course approximately 88% of the price of a pack of cigs is taxes, the state and feds cannot afford to give that revenue up. The can afford all the nanny state crap laws come into play up to and including telling a private business owner what they can do with their own business, but they cannot afford to give up that revenue. Yes, I smoke. I have smoked for 40+ years. Yes, I am fully aware of my choice. Every single member of the previous generation of my family also smoked. Nary a one every died of any disease related to their use of tobacco products, they also didn’t die young unless they died violently. About half the people who smoke will die of a tobacco related illness. You have been lucky – so far. Perhaps, or like all the rest of my family I will die of unrelated causes. I, like the rest of my family do not have a genetic dispossession to the underlying problems, including cancer. My point is not to argue whether cigarettes or cigars or for that matter any tabacco product is bad for you, I will grant it is. My point is either take it off the market or stop with these silly measures. Calls in Australia toda to do exactly that ….